As we prepare for the holidays, the love, joy, and cheer can quickly turn in to stress, frustration, and a little bit of bah humbug, especially if you are designated cook and the hostest with mostest, but it doesn’t have to be that way! There are so many ways you can simplify during holidays the so that it’s enjoyable for everyone, including yourself! You can do a potluck. Serve a meal that is simply easier for you to cook. Have part of your meal catered or go out to eat. In the past, my family has done all of these! One year my dad got some chicken and pork from the bbq place, and everyone just had to bring a side item. Another year we had fried chicken, and one year we even got Mexican food. And several times we’ve had breakfast! Breakfast or brunch is such an easy meal to fix, and it’s also quite affordable! If you get together with your family around lunch time, after the early morning Santa run, a brunch is actually quite perfect to serve for your big meal, as most everyone hasn’t had any breakfast yet. And it also makes a great dinner time option! 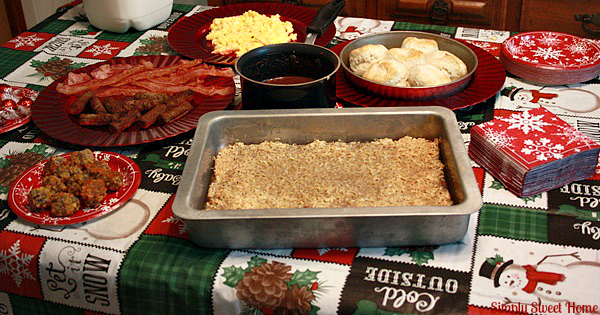 Here in the south we love “breakfast for supper.” My family has done this several times, and it really is no-fuss, no rush holiday meal that everyone can enjoy! 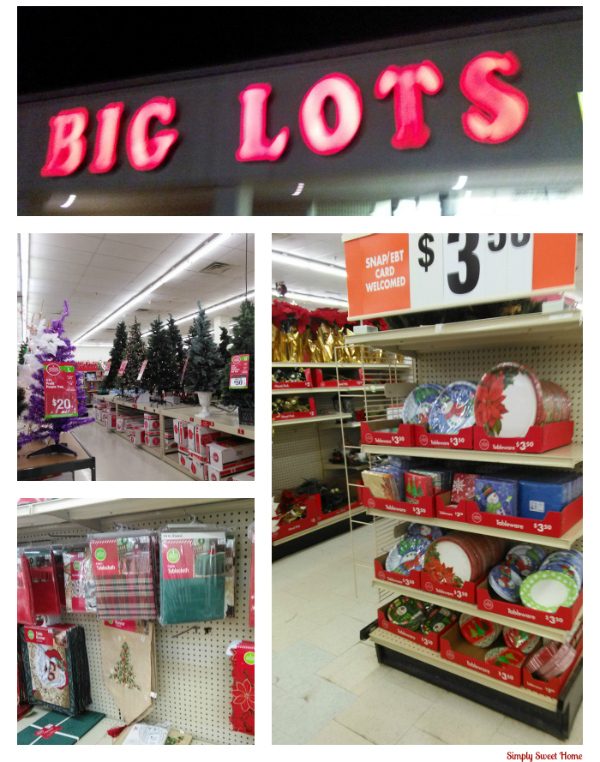 The other day I went on a holiday shopping trip to Big Lots. They have everything you could possibly need to decorate for Christmas, including trees, lights, outdoor decorations, ornaments, and a whole host of indoor decor and those much needed table decoration for your holiday feast! Styles and assortment vary by store. 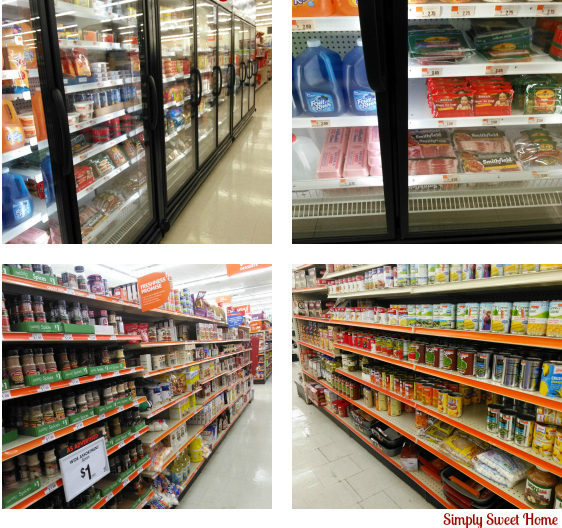 Big Lots also has a number of grocery items. They have a baking and spice aisle to help you create all those delicious holiday sweets on your menu. And they also have plenty of canned goods, dry goods, and boxed foods like macaroni & cheese and au gratin potatoes. And they even have a refrigerator and freezer where you can find all your meat and dairy items. 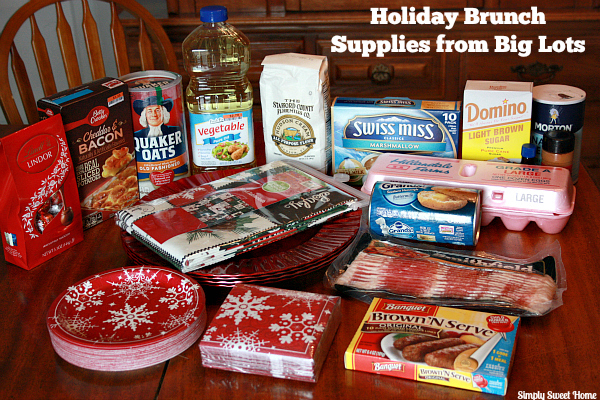 Take a look at all the items I was able to pick up for our holiday brunch! They had really great holiday themed plates and napkins to choose from. And I was able to find a really table tablecloth and some serving platters to coordinate with them. 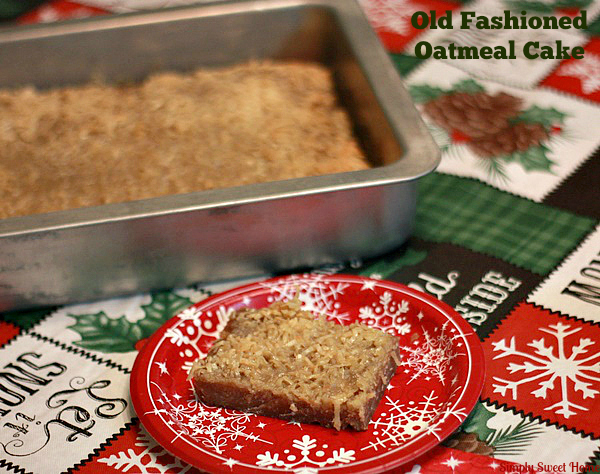 Plus I was able to get everything you need to serve a big holiday breakfast or brunch to your family, as well as ingredients for my Old Fashioned Oatmeal Cake that I’m sharing with you today! I believe dessert is a quintessential part of any holiday meal or big get together. When you have a brunch, you actually open yourself up to a number of dessert options that you may not otherwise have at Christmas. A few options I like include muffins, orange rolls, cinnamon rolls, and of course donuts! 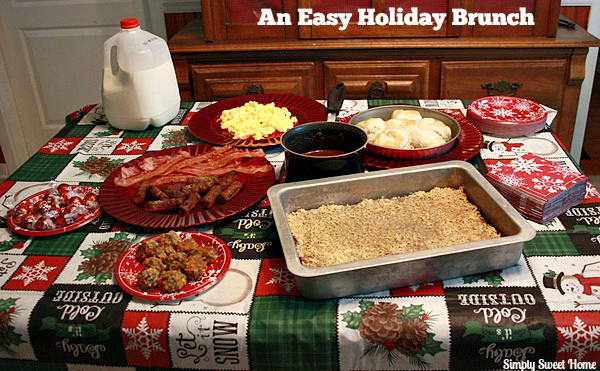 But certain pies and cakes can work just as well for your holiday brunch! 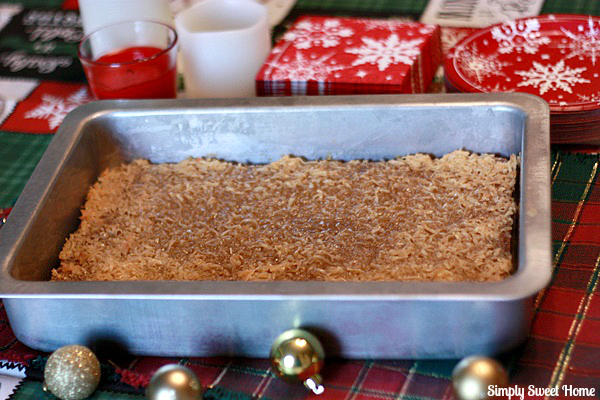 This Old Fashioned Oatmeal Cake with Broiled Coconut Topping, is super moist! It’s so moist, it’s really almost like a bread pudding more so than a cake! It features a delicious cinnamon oatmeal flavor with a milky coconut topping that you will instantly love! It is the perfect dessert to serve hot and fresh out of the oven with a cup of coffee, a cool glass of milk, or even (dare I say it) with a little whipped cream or ice cream on top! And once you refrigerate the leftovers, the cake is really just as good when served out of the fridge. Or you may microwave it for a few seconds to recapture that straight out of the oven freshness! In a small boil combine the oatmeal and boiling water. Stir well and let set. In large bowl, mix the butter, sugar, eggs, flour, baking soda, cinnamon, vanilla, and salt. Then add oatmeal mixture and stir until well combined. Pour batter in to prepared pan. While cake is baking combine all your topping ingredients. 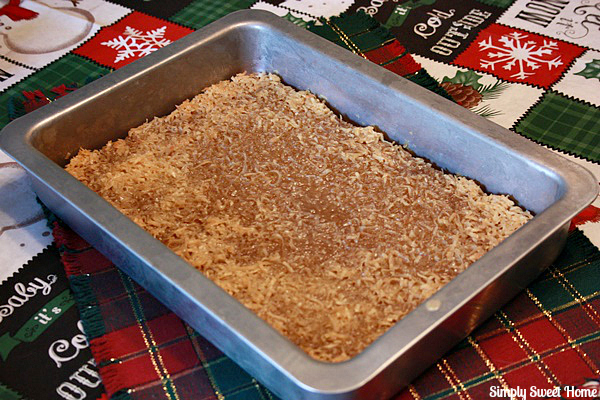 When cake is done baking, remove from oven and turn on broiler. Drop the topping mixture on to the cake with a spoon and use the spoon to spread the topping out and evenly over the cake. Broil for 2-6 minutes, until topping is bubbly and lightly browned. Serve warm. Refrigerate leftovers. When eating the leftover cake, you make eat it cold, out of the fridge, so place a slice in your microwave for about 30 seconds for a fresh, warm cake slice! *The warm cake is also great with whipped cream or ice cream on top! So how do you simplify during the holidays? Do you do appetizers? A potluck? Cater part of your meal? 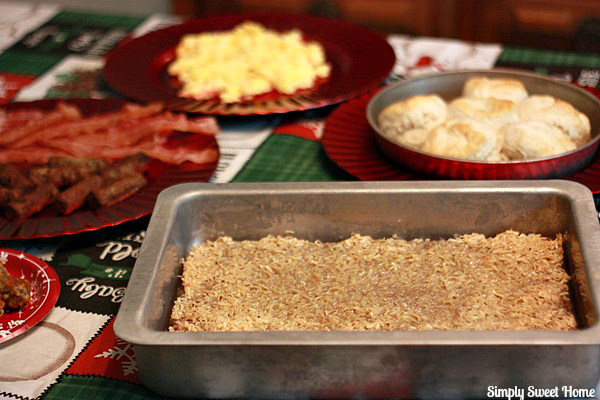 Do you have simple go-to recipes that rock your holiday? I’d love to hear your ideas! Please join the conversation by commenting on this post! Those are some really great ideas to help de-stress the cooking part of the holidays. I think being flexible is key. Your dad really seemed to understand that. Thank you so much for providing individuals with a very spectacular opportunity to check tips from this site. It is often very pleasurable and jam-packed with amusement for me and my office colleagues to search your blog at a minimum three times per week to find out the new stuff you have. And definitely, we’re usually motivated considering the brilliant creative concepts you serve. Certain 2 tips in this post are in fact the very best we have ever had.